“To have another language is to possess another soul”- Charlemagne. Within its short period of life, I&W has managed to implement several projects. 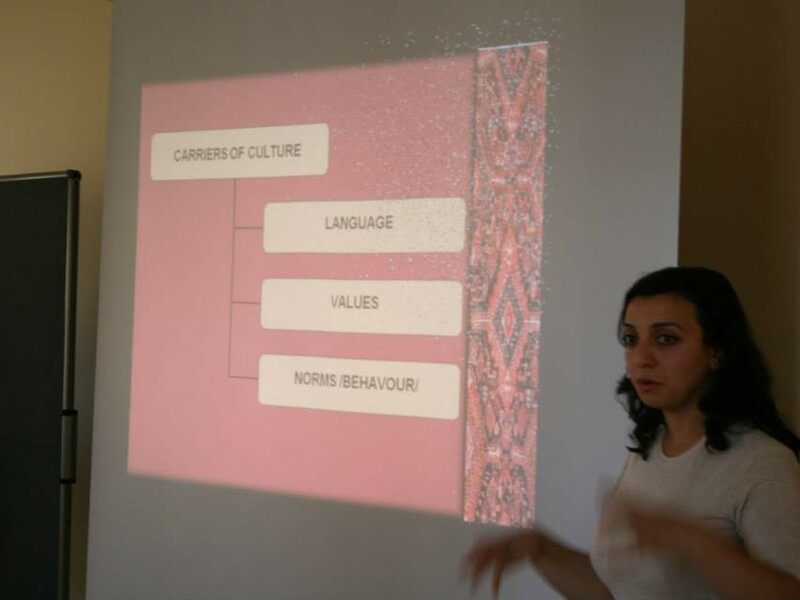 Language courses in English, Armenian and Russian are conducted by our project members in Italy and in Armenia. The language courses are one of our priorities. Knowledge of foreign language helps us to penetrate into the mentality of that culture, nation, it becomes a path to intercultural thinking, understanding, and dialogue. One of our organization members is doing her European Volunteer Service in Chieti, Italy. Thus, in addition, to her service, she is leading language courses. The class is comprised of people of different nationalities. In the course of studies the students not only learn English, Russian or Armenian, they learn about each other’s cultures. Another member of the organization leads courses of English in Armenia with an American colleague. Armenia is a mono-ethnic country with mostly Armenian people and the presence of an American teacher provides the fascinating opportunity for intercultural exchange, the experience of foreign culture, becoming a special link with the outside world.